A good buddy of mine had to cancel his trip. 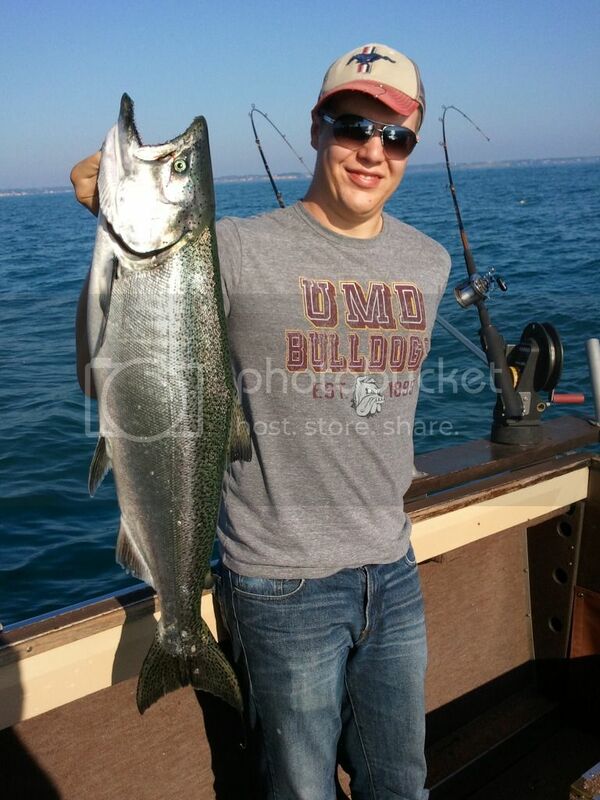 He was really bummed because the salmon were biting real well, and they were getting real big ones as well. He said I should go, and so I did. I knew nothing about salmon fishing but always wanted to give it a go. 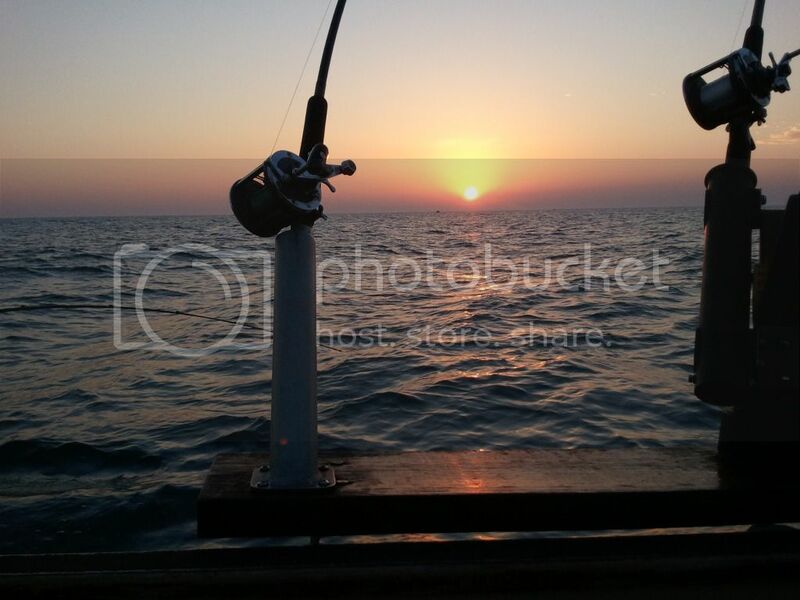 So I used his captain out of Kewaunee, WI, and we headed out at 4:30am to do some fishing, the sunrise was awesome. 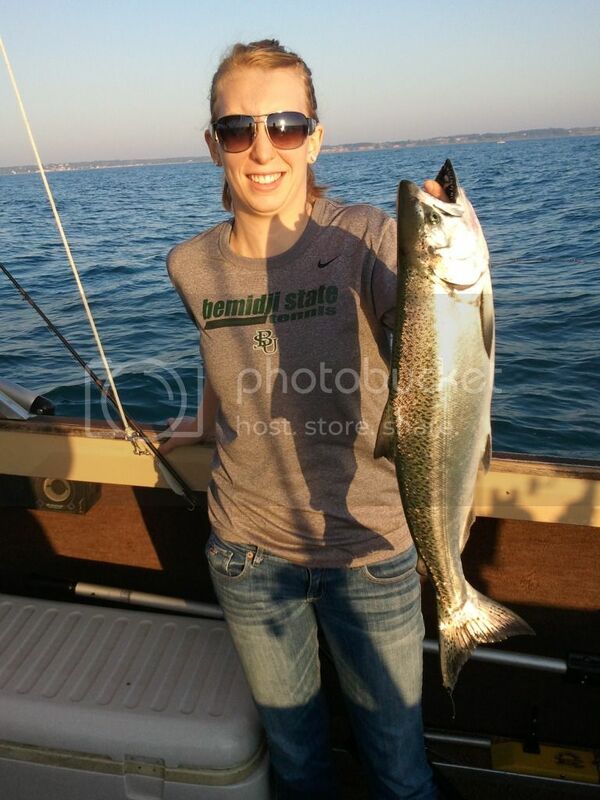 We didn't catch a ton, but we all caught some, all kings, and a few big ones too! 5 fish total, about 70lbs worth. 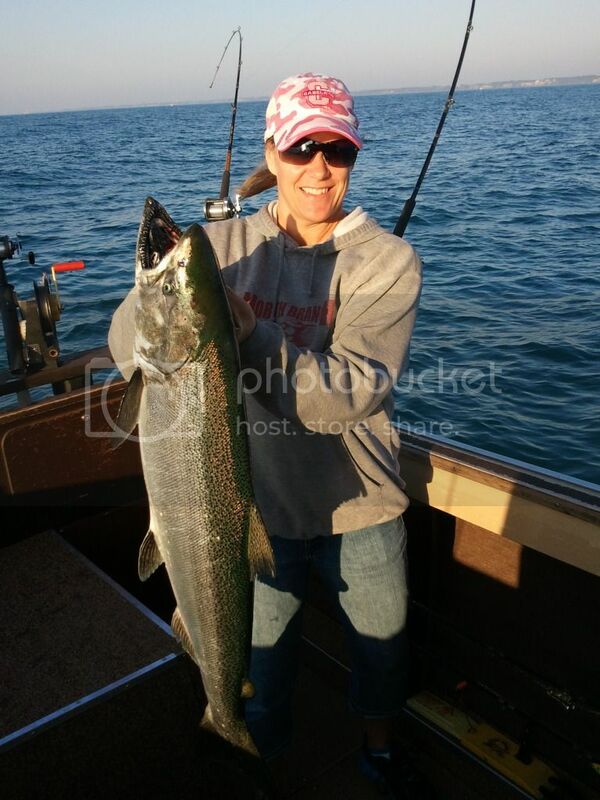 As usual, my wife caught the biggest fish again, 37.5" @ 20lbs. And she got to snoop around Door Co. for a day as well. Gotta keep the wify happy too ya know! And a couple of other buddies who just happened to be out there at the same time with some more fish, the one on the left is Tim with a nice rainbow, and on the right is Wayne with a king. 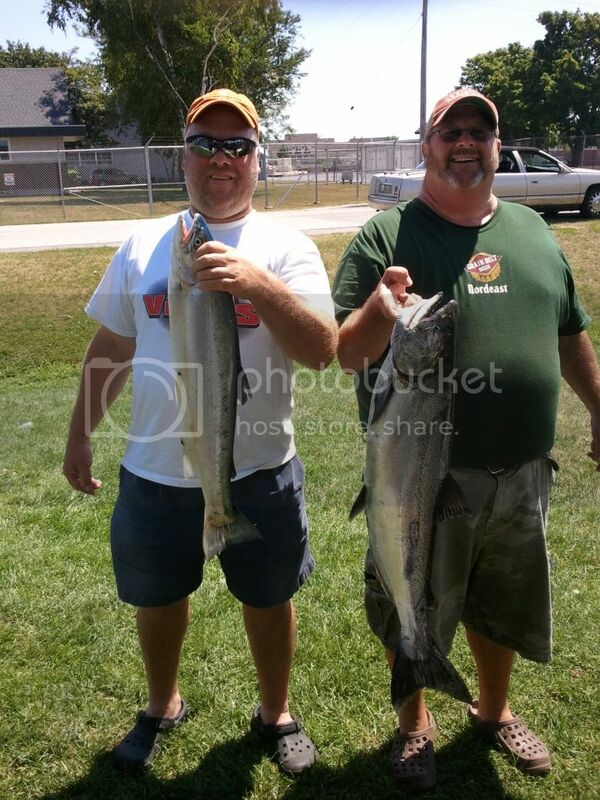 Just a couple of the fish they boated, they fished a couple days and landed a ton! Well... I gotta ask because these pics are great! My I post these too? Good stuff Dave! Love the vintage mustang hat! I did this once also and it seemed like I spent most my time trying to be the first mate! I didnt like the idea that they would pick up the rod, set the hook then hand it to you. I wanted to be that guy. Nice area also! Go ahead webdude, I figured you would like them, I sure do, and loved the process of making them as well!!! SB...We didn't have that 1st mate issue at all. We got to pull our own rods if we wanted, and we did, we lost a couple because of it, but oh well, we were paying, it's our choice. We still had a blast. And I can understand how the captains want to make sure that their clients don't lose fish...that's how they get repeat business...catching and landing...not losing fish. Most peep's that hire boats don't have the experience...so they are just trying to help. I wish I could squeeze into her lucky sweatshirt too...!! 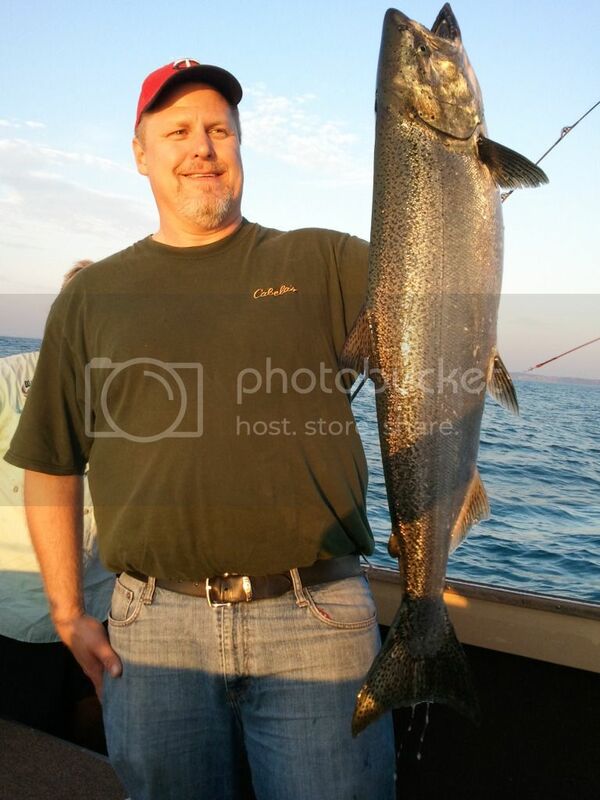 So I am the buddy that told Domino Dave about this captain and the fishing experience. I have caught so many more fish than Dave that I shall not be jellous. The Viking Prince. 1st off, you better have caught more fish than I, you are almost twice my age dangit! 2nd off, I'm not sure it's you since you only called yourself a Prince, I would have put you on a King or better. And if it is you, Thanks! You are the King, World Travelor, Master of all forms of trout, awesome lure collector, and everything flyfishing related. You are truly worthy of respect! I know, it sounds so sappy, but I really do mean it! You mind if I call you The VP? I Like the handle!